As a search evangelist for Bing I spend a lot of my time talking about the benefits of Bing Ads and how our search platform performs for marketers. I think for the most part the search industry recognises a need for Bing as an alternative to Google. We’re saving the world from a search monopoly, one query at a time. 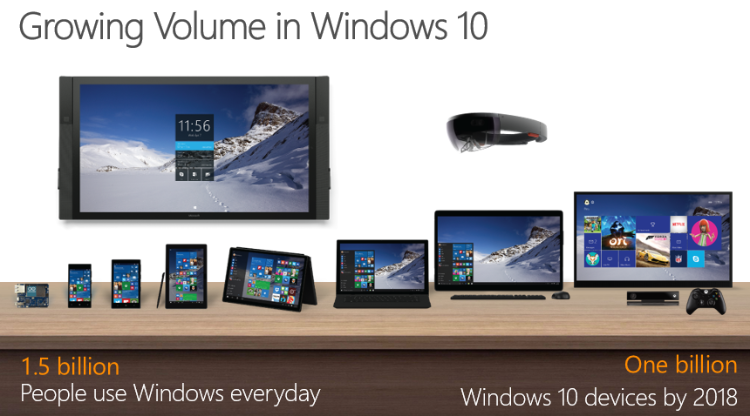 However, many people still don’t realise just how good Bing is in terms of the value it provides. To bring you up to date I wanted to highlight some of the key advances we’ve made recently that accentuate the value of Bing in 2016. 2015 was another year of growth for Bing market share in the UK and so a part of the value of Bing is the increased presence we have in the market. Last year saw us introduce Cortana, Windows 10 and Microsoft Edge to the world and that has had a big effect; winning hearts and minds of consumers and getting more people to search on Bing. In fact, Microsoft data shows that people who are using Windows 10 are on average searching on Bing 30% more than in previous Windows OS versions. With 200 million Windows 10 devices worldwide already, this is having a significant impact on our search query market share. According to comScore, Bing’s UK market share has increased from 8.1% in December 2014 to almost 10% of the search market in December 2015. When combined with the ad inventory we are powering through Yahoo! our combined market share currently stands at 16.3% - more than 750 million monthly searches. As of January 2016 Bing has also started powering AOL search, adding further to our market share. The question is: as an advertiser are you matching your search spend to our query share? For a long time, Bing has been considered somewhat an afterthought in the minds of search advertisers. I still speak to customers who have their spend for Bing capped at around 5% of the total search budget because “that’s the way it’s always been”. However, with our UK market share edging towards 1 in every 5 searches, 5% is seriously undervaluing the size of the Bing audience. Is it time to review your spend allocation? Why would you want to do that you say? Not only because it’s proportionate and appropriate to the demand of the UK audience. But our clients are constantly telling us that Bing delivers better value than Google. Bing has historically always struggled against Google for volume but the performance of our network is significantly stronger in terms of cheaper clicks and higher conversion rates. Typically, CPCs on Bing are 30-40% cheaper than on Google and some clients achieve even better results. A recent case study from iProspect in September 2015 found that CPCs were 56% cheaper on Bing than Google with a 360% higher ROI. 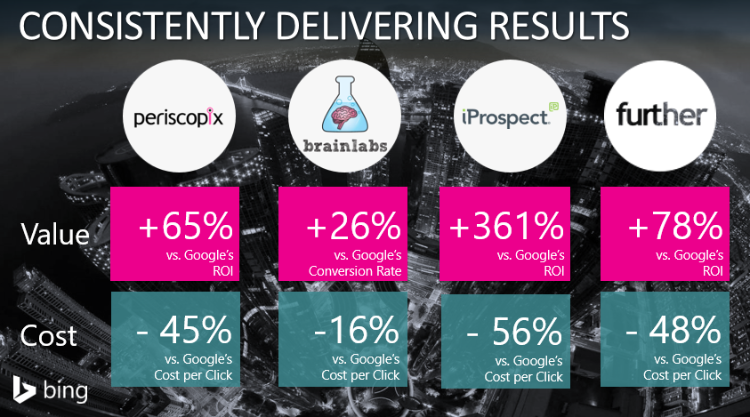 Periscopix found their CPCs were 45% cheaper in Bing with a 65% higher ROI than Google. This is a message echoed by search agency further, who achieved on average a 48% cheaper CPC across their entire client base compared to Google with a 78% higher ROI. Meanwhile, award-winning search agency Brainlabs achieved 26% higher conversion rates on Bing for their clients in the Insurance industry whilst getting those clicks 16% cheaper than they could on Google. Last but not least Further looked at analytics from across their entire client base and found Bing achieved a 78% better ROI than Google at a 48% lower CPC. Although the individual numbers differ, the story is the same: Bing delivers better value for money than Google, with higher conversion rates and stronger ROI at a lower cost. A part of what makes Bing Ads perform so well is our commitment to making the platform as scalable and efficient as possible whilst at the same time offering advertisers something different they can’t always get on Google. If 2015 was a year of getting Bing to parity with Google, then 2016 will be the year that Bing innovates and differentiates in search. Much of the functionality that we developed in 2015: enhanced sitelinks, app extensions, shopping ads, remarketing and annotations were parity features to bring us in line with Google – something you, our customers expressly demanded. Even though you asked us to make Bing “just like Google” we’ve kept some things unique to us which advertisers appreciate. A classic example of this is the bid modifier within enhanced campaigns. When we moved to enhanced campaigns in Q1 2015 we decided to give advertisers the option to specifically target tablet users by adding a bid modifier of -20% to +300% - an option which Google does not do. This means that if you can see your audience is performing particularly well on tablet, you can bid boost your campaigns to have your ad show more regularly in front of tablet users, thus enhancing the performance of your campaign. In 2016 we have a host of exciting new features coming to Bing Ads which we believe will further differentiate us from Google to provide advertisers with new extensions and ad formats to play with including Image Extensions and Bing Native Ads which are available now for pilot beta testing. Why should you be investing more in Bing? So what does this mean for search marketers? It means that there are exciting times around the corner, and if you haven’t logged into your Bing Ads account for a bit then it’s time to get stuck in! Our market share is growing, and is probably higher than you think, which means you’re probably not giving Bing it’s fair due for the audience and volume of clicks that we have available. Not only is there significant volume growth, the performance of the platform is much better than Google, with cheaper clicks and higher conversion rates. 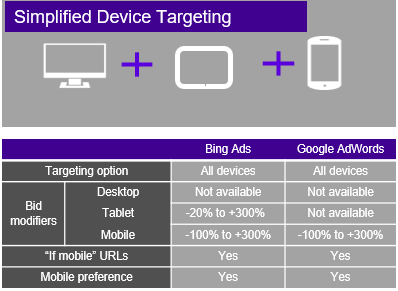 Finally, the additional functionality we have coming in Bing Ads for 2016 is going to differentiate our platform even further from Google and give you more ways than ever to connect with your customers.